STARKVILLE, Miss. 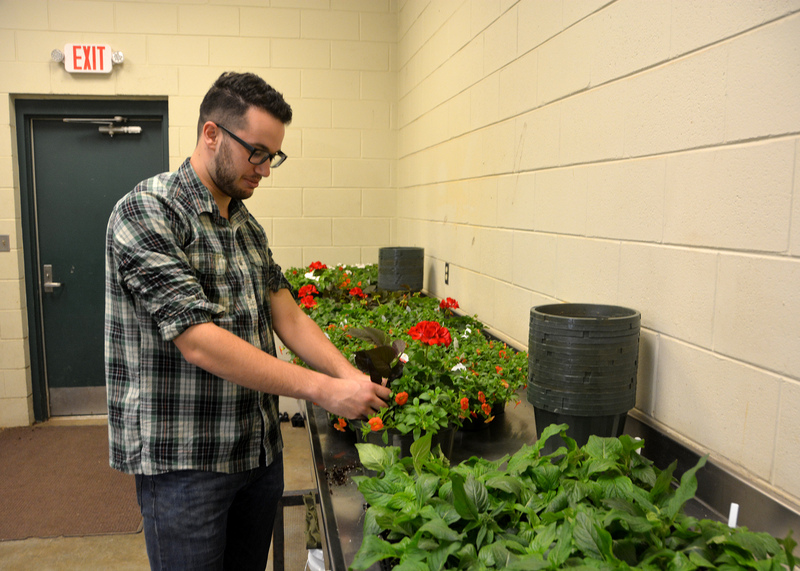 -- Horticulture students will host their spring plant sale at the Mississippi Horse Park during the Everything Garden Expo on March 24 and 25. The Mississippi State University Horticulture Club conducts spring and fall sales each year to raise money for club activities. The spring sale will include impatiens, herbs, peppers, fan flowers, celosias, petunias, Swedish ivy, aloe, zinnias, coleuses, marigolds, tomato plants and more. The students will join many other vendors offering items for gardens across the state. Educational booths and seminars also will take place. In addition to an antique tractor exhibit, children’s activities will be offered to visitors. The expo will take place from 7:45 a.m. until 6 p.m. the first day and from 11 a.m. until 5 p.m. on the second day. The Mississippi Horse Park, a division of the MSU Extension Service, is located at 869 East Poorhouse Road, south of Starkville.